They both were sitting and talking about here and there. Tej:you know what Avantika I find one boy for Avni..
Avantika: Sunil and reema son?? Tej:haa Tanveer? That boy who was with Kunj and Rahul in their university..
Avantika: haa I saw him with his parents he is nice boy. My Avni Avantika if anything happened wrong with her life I can’t forgive myself ever.I never saw them like they aren’t my kids between since day I think this only i get two more kids.. he hold Avantika hand. Avantika:tej I know this things and you never ever do anything bad for them. Avantika: true tej she is my best friend you remember how much she tease you same like Rahul haina. Tej:haa and Atul always get shy..
Avantika:just for show off he isn’t less than Rahul..
Tej:those days are best days of our life. Me and Atul always think. Like we both stay together even our sons too gives friendship goals. Avantika:and they did it tej. Tej:hmm.. what did you say about Tanveer? Avantika: no one does drama expect Than our Kunj mummy ji and daddy ji just worried about their laddla Kunj marriage. Tej: haa right see them after Kunj marriage they didn’t think about omkara. Tej:whenever I saw her remembers your days she is same to same like take over all duties how beautifully she handles everything that bua ji time really appreciate to her.handle your careless son as well. With each other’s but tej whatever is it your son not like you.How beautifully your handle both things at the same me and business. Tej:haan i still remember. But still you didn’t satisfied with me always complaining me I’m not giving you time haa?? Avantika:Arey woh toh I’m just kidding with you tej. This Kunj is same to same book worm you made him like this. Since childhood behind him. Tej:you don’t know him Avantika he had aims there he wanted to reached at any cost. Avantika:only his dadu and dadi can understand him perfectly in front of us toh he didn’t open up.Even didn’t tell anything to twinkle too tej.You toh giving me surprise every weekend. Tej: ab I’m tej sarna..
Avantika:acha ji my son isn’t less tej we did love marriage you know Kunj. Tej:I didn’t stop him he itself don’t have any interest in this all things. You know what usko toh Shadi hi nahi karni ti he did just for his dadu and dadi. Avantika:leave tej he is like this his simplicity is the best. Bina bole mera Kunj mera dard samj jata hai never disobey us tej. Tej:hmm right yeh toh kam bolta hai bas good you give me three chatterbox.at starting he too speak..
Avantika:hmm after that he totally changed.After twinkle he get better.You give him less work so he can give time to twinkle. He already is very boring. Tej:acha think about me after one year of marriage we had Kunj handle each and everything still.Ab inka Kya pata..
Avantika:tum bhi na let them enjoy their life.I’m just happy they both understand their marriage value and respect each other’s best thing ever that time I get shocked did we does something wrong. Tej: haa Avantika how much we did. Avantika: yeah tej if you didn’t give me Lavanya and rubal idea maybe they both didn’t realised their feelings..
After get to know about twinkle and Kunj tej and Avantika get very much worried about them.How they will take their marriage next level.How to deal with their this relationship.Many things coming in their minds most important thing making them more worried it’s Kunj they knows him very well. Avantika: tej I think we did wrong with Kunj we should asked him?? Tej: what is this Avantika each and everyone asked him if he love someone tell us but he itself don’t know what he wanted now he get married to twinkle. I never thought after marriage too they both is like this. Avantika: this isn’t small thing tej how they will deal with each other’s Shadi choti Baath nahi hai..
Avantika:I don’t know.. we should do something tej. Tej:woh toh hai hi Avantika. They both think something look at each other’s. Really. Avantika:yes that only work out tej..
Avantika:Arey I’m damn sure tej Lavanya. You know her she is so cheapku. Avantika:what but ?? I’m saying we all know Kunj I toh he is very possessive didn’t you see him at Priyanka and Anjali time. And I’m a wife I know this will affect twinkle lot..
Avantika:that I don’t know you are Kunj father you have to do something for him. We know humare Kunj kesha hai. Tej:acha okay baba. Very next day tej call Lavanya and hopefully her family coming India only cherry on cake. When Lavanya family come at Sarna Mansion that time they didn’t told anything to Lavanya. They see twinkle behaviour towards Lavanya when twinkle see Lavanya with Kunj her facial expression telling so much which noticed by tej and Avantika. Tej: in mind Avantika was absolutely right. Avantika: hehe (in side)see I told you na Tej. Tej:hmm now tell me next? Avantika: we have to talk to Lavanya first..
Tej: hmm. After next tej and Avantika went to meet with Lavanya at her home there on one was there..
Lavanya: yes uncle and aunty..
Avantika: Lavanya we need your help..
Lavanya: my help I didn’t got it?? Tej: haa beta your help for Kunj?? Lavanya: for Kunj what you mean by this. Avantika: haa beta only you can do this. They both tell each and everything to her. Lavanya: hoo I know Kunj is like this only still..
.Tell me what I can do for you both uncle and aunty. He didn’t get ready for me at least he get marry I’m happy. Tej: kaha bets still he is same to same for name sake he did for us. Avantika:Lavanya you do one things I mean you can jealous twinkle she will get insecure this will affects her lot. Avantika:I’m a wife I know beta biwi can see anything but can’t see their husbands with anyone apart from them. Right now both of them busy in themselves they have to think about each other’s this only last way left please don’t say no..
: acha okay I’ll do it this for you both but you both don’t tell anything to anyone afterwards okay. Tej: yeah beta. What you will do?? Lavanya: you just wait and watch I’ll handle each and everything end of the day you will get to see insecureness on your bahu face. Avantika: thanks beta.after Lavanya started getting closer to Kunj which affecting twinkle lot which you all knows. After Kunj conversation with Lavanya his wife didn’t like her this and that at his cabin. Lavanya get happy finally their plain work out she didn’t said anything to anyone simply tell tej and Avantika don’t worry now everything is fine between them they both get happy to see Kunj and twinkle slightly together than tej send him London how much they stay far from each other’s it will be good for them beneficial for their relationship. Flash back end..
Avantika: really tej Lavanya is good if she isn’t here than toh this wouldn’t happen..
Tej:haa woh toh hai Avantika.My innocent son and bahu wouldn’t understand their feelings for each other’s.We are their parents it’s our duty to help them and show correct path. Avantika: hmm you love so much him na. Tej: don’t you know till now he chuckled. Avantika hug him. Avantika:we all know mummy ji and daddy ji dream to see his great grand kids face. When I see them..
Tej: this happened Avantika see na now they are so happy with each other what else we wanted more it’s good if Kunj get interested in girls how we got our twinkle haa..
Avantika:yeh Baath bhi hai.now let’s sleep.Your daughter will wake up at anytime.They both kissed on Aayat forehead and lay down. Surjit was thinking about yuvi words.just than Anita come with milk she see him and sit beside him he look at Anita removed his eye glasses..
Anita:what happened you looking tense? Surjit:hmm he take milk glass and drinking.Anita what did you think about girls?? For yuvi?? Anita:woh ji.. she think in her mind how I’ll tell him about yuvi he love Avni??.. what I’ll tell you I mean today yuvi told me. Surjit: I know he love Avni?? M I right Anita get shocked how he know this?? Surjit:when you son telling you this all things I was there only so listen. Anita: hmm now what did you think about him. Surjit:I give commitment to my friend Anita now what did you think?? Anita:see I know about this but he clearly deny if no Avni than he will not get marry to anyone. Although we wanted yuvi will more he find Avni for himself so what I don’t mind she is very good intelligent and even we know her personally..
Surjit:I know this all things Anita even I don’t mind I think about her whenever I saw but what about tej?? I mean I know tej perfectly he will not give approval to this alliance see Avni where she is our yuvi he is stubborn. Anita:hoo is not valid reason even they too finding boy for Avni what problem in my yuvi he is the best he will keep her happy as well.We will talk to bhai Saab about this personally what he think about this alliance. Anita:Leave firstly we’ll talk to them. Surjit:okay don’t tell anything to anyone. At yuvi room he laying down bed waiting for Avni messages.Just than he see she come online. Yuvi: finally you come I was messaging since long time he send her.Avni see his message and smiled to see his desperation. Avni: acha why you waiting for me haa. Yuvi see and make faces. Yuvi:iss Ka bhai and bhabhi itne bade romance ke queen and king see this battery huhu.Aise hi neendh nahi Aarahi ti.. Scene turned to Sarna Mansion..
Kunj: acha guys I’m going. Aayat:bhaiya why you didn’t sleep with us haa.all look at each other’s face. Kunj:aise baby do you wanna sleep with me come..
Rudra:Aayat you sleep long back why you wake up and come here haa. Aayat:mamma and pa sleep I wake up. Kunj: acha what you wanted..
Kunj:aww now my Aayat too started like this nonsense. Anjali: acha let me call twinkle here only.What she doing man in her room. Soumya: even this Avni too nowadays madam just busy in phone..
Kunj:twinkle what she will do standing in front of mirror just..
Om: how you so sure..
. Chal let’s cook something we didn’t make anything na what’s say they all get ready and run downstairs wear apron and hats..
Rudra and Omkara cuddles Kunj they show knife them. Rahul Anjali dancing in side while Priyanka laughing and Soumya teasing Rudra making his videos..
Twinkle listen their voice she come downstairs finding from where voice is coming she went in kitchen and and see the scenario.In style Kunj making pasta. Twinkle see and get shocked to see Kunj who cooking. She went ahead Priyanka pulled her. Ghume aasman.Dancing with her twinkle laughing. Twinkle went near Kunj and arching her eyebrows.Kunj laughs out kissed on her cheeks all get shocked and make omg face their mouth got opened Kunj think they busy but they see him twinkle blushed she push Kunj slightly. Kunj see Rudra he went near him and wiped his face. they dancing in circle twinkle laughing to see them. Rudra throw tomato at Priyanka. Priyanka: ahah she take eggs and throw at his face but he sided which hits to Rahul his face drenched in egg all laughing to see his condition Aayat clapping. Together they all singing and dancing with girls Kunj and Rudra teasing Priyanka Lot while Rahul romancing with Anjali.Aayat blow the gas stove all get shocked and rushed towards gas stove Kunj show her fake anger eyes she chuckled Kunj take pasta and put in oven for bake while twinkle bring fruits and all boys playing with fruits in style girls smirked playfully..
and gesturing twinkle he take bite she blushed. and opening in very cheesy way and having and gesturing Kunj in naughty way Anjali and twinkle eyes pop out while kunj turned and laughing Anjali throw apples at him he hide behind Priyanka Soumiya. Hum tho saat rang hai Yeh jahan rangeen banayenge. They mess up whole kitchen and went in hall and running here and there throwing cushion at each other’s. Laughing so loudly creating memories with each other’s elders wake up due to them they come downs and see their kids.All of them playing like little kids Rudra behind Soumya and Priyanka. Aayat hitting on Kunj back.They playing like train elders all admired them. differences comes between them when they see today generation siblings and theirs they have lot differences between them like a sky to earth.. all get tried and lay down on couches laughing so loudly humming the song. Served them elders went near them. Kunj take smoothies glass just than tej. Tej: kunjjjjj.. he see him and immediately get up. Don’t dare to think of it..
Manohar: still behaving like little kids haa. Lata:Arey let them Manohar I want this only my bache stay together like this they find happiness with each other’s. Rudra and Omkara or Kunj cuddles Lata and Prithviraj. Avantika: here we are too here.. they all sits. Usha: smell coming amazing. They all having twinkle get shocked. Twinkle: aww Kunj is so delicious I mean how you make did you know cooking? Rudra:hehe bhabhi you don’t know about bhaiya haa he is very good cook he knows everything twinkle look at Kunj. Aayat: why you eating my pasta haa.. both started fighting..
Kunj:uff you both impossible Aayat you can’t have this much also..
Aayat: huhu you just taking this protein power side. .. have this he feed her her. Aayat: very lame. All laughs out. .Aayat licking her lips in cute way Kunj pulled her cheeks.Kunj get scared of tej he take few sip of smoothie and tej take the glass. Tej:just now you get fine again haa. Avantika:when did you wake up Aayat. Aayat: hmm long back you both sleep. Rudra: mummy send her somewhere else eating my head Lot. Tej raise his eyes. Tej:what about you Rudra even I feel same.All laughs out like anything. Rudra: huhu pa what so special in this pidhi I come before still huhu. Aayat: because of I’m last one that’s why and cutest than you huhu show him tongue..
Avantika:tej you too become like them. Aayat come and now sleep you have school na. Aayat: tell him too na.. she hold Avantika hand. Avantika: lets come.She lift him and they both went inside.Rudra screaming mummy and run behind them. Usha:Bichari Avantika bhi na.still yeh bache bhi same to same her troubling her lot. Tej:haa without them her day didn’t finished. Manohar: now sleep we have office.. they all went in their respective rooms. Kunj: this Rudra and Priyanka is so smart they knows they have to help us to clean kitchen huhu. Om: I know that time only. Lata: leave it sleep servant will do it. Kunj:haa.They all went in their respective room. Twinkle and Kunj lay down on bed in sitting position Kunj checking his mails. Twinkle: you and Rahul is so cheap Kunj haa what was that in kitchen haa Kunj look at her leave his phone. Twinkle:acha sadu banana you don’t act smart with me we all know what he meant it..
. She come closer to her. Twinkle:because my husband is very shameless that’s why.Kunj peck on her lips. Twinkle:Kya.. Kunj gestured at her. Nope Kunj let’s sleep this isn’t time. Kunj:Kya twinkle huhu. Kunj closed his eye and act like sleeping twinkle giggles to him she rest her head on his chest ticking on his lower body he try to control on himself. Twinkle don’tttt..
Kunj:goodnight.. both cuddles each other’s tightly and sleep took over them. Rahul sleeping he wake up feeling thirsty he get up and finding water in his room see water jug was empty he get up and went out of the room. He went in kitchen drink water and going back to his room just than his eyes falls on Avni room her room lights where still on..
Rahul:Avni ke room ki lights still were on why?? He went near her room windows was open.Avni was busy in her phone doing chatting with yuvi Rahul see her with phone she smiling while typing. At this time with whom she messaging haa?? I have to ask her if something extra is going on she will gone.. he look at her last time and went from there. Rahul entered in room and lay down beside Anjali. And try to sleep.. whole night Rahul didn’t sleep whole night peacefully. Anjali wake up and see Rahul who busy in his laptop she smiled and look at him. Rahul: good morning.. finally you wake up please my tea?? Anjali: haa let me get freshen up first she take her clothes and went in washroom quickly she get freshen up and come out of the washroom she went near dressing table and look at Rahul through mirror. What happened mr Malhotra ji looking sad?? Rahul:nope why I’ll he leave his work and went near give her backhugged. She smiled he rest his chin on her shoulder and cuddles her tightly. Anjali: you know I can read your eyes tell me why you looking so plain haa..
She turned and cupped his face. Just thinking about Avni. I think it’s right Time Anjali humko uski Shadi kar Deni chahiye na. Rahul: I mean Anjali you know na aaj kal ka it’s not that I have any problems but we all know in our family we have some rules and limitations. Anjali: yes I know Rahul. Bade papa hai na he will do na..
Rahul:that I know Anjali think if Avni is interested in someone else?? What we’ll do about.. without their wills we didn’t went ahead nor Kunj and others since the starting we learn this only never disobey our parents decisions.. Anjali cupped his face. Anjali:look into my eyes you don’t worry about Avni I know nothing is like this in her life and talking about her alliance we will go with flow Rahul. Rahul: that’s true you always solve my problem thanks. Anjali: acha ji now you telling me thanks haa. Rahul:okay how about this he seals her lips she slightly hit on his chest both lost in their kiss..
Omkara and Rudra sleeping peacefully Rudra wake up and went in washroom today he had practical’s in college so he get ready while Omkara dreaming about Mahi that she wearing saree and entered in their room while Omkara sleeping peacefully she sit beside Omkara and sprinkle her wet hairs water on her Omkara smiled and he open his eyes and see Mahi who looking so beautiful. Omkara Tucked her hairs and about to kiss. In reality he doing with Rudra who get shocked to see this. Rudra: Ooooo. He push him due to this his dream break he open his eyes and get shocked looking here and there. There is no Mahi and see Rudra who giving helpless look. Kiss me I know we are brothers but this Chii just than Kunj entered in room he jumped on bed look at his both brothers. Kunj: what happened to my baby brothers haa?? Rudra: bhaiya you what bhaiya did today with me in sleep he going to kiss me Chii. Kunj look at Omkara and laughs out. Kunj:eww I’m telling you na sleep in your respective rooms na but you wanted to sleep together bhaiya me Nazdeekiyaan is good but this much not. He pulled Omkara cheeks. Om; tu bhi na nowadays toh you don’t have time for us haina Rudra he too sit beside Omkara. Rudra: O after marriage toh bhaiya didn’t give us time our BRO MOMENTS was best now see he just making moments with bhabhi just then twinkle entered in room with Kunj coffee. Twinkle: what bhabhi tell me too my dearest devar ji..
Twinkle: tumhari coffee?? Kunj take his coffee and giggles out.
. Rudra get up and stand in front of twinkle showing his shirt she understands starter closing his buttons. Om: asked your husband when he sit with me haa asked me how’s I’m?? Kunj started checking him. Twinkle; hehe Kunj you should asked him na afterall this two is your brothers. Kunj:acha sorry I’m one man Kish kish ko time du she complaining too this. Twinkle:haa toh I’m right when you give me after office again work and sleep just more than me Rahul Spend time with you. Happy Rudra. Rudra: haa bhabhi one my watch please. , you behaving like my Mahi even she too saying I’m just giving time to Kunj Jiju..
Kunj:hehe.. twinkle arrange his wardrobe. Rudra: Mahi toh innocent hai..
Twinkle:really everyone thinking your bhaiya is very innocent man in this world now see him how much he is. Kunj arching his eyes twinkle went and sit beside Omkara.. Kya hua om.. Shadi karde tumhari. Rudra:haa O Than I got two bhabhi’s they will do my all work uff amazing life Kunj and Omkara give him death glares. Don’t give me this look I have my mummy she will do my all work. Kunj: Chal chup. Tell me after practical if you didn’t performed well. I’ll kills you aishi bhabhi milegi na..
Kunj:sleeping head and you mr long zulffi ji go and get freshen up. Om: haa he get up and went in his room. Rudra: Bhaiya I think O having someone ahem ahem. Kunj:Rudra No Chal.they went downstairs for breakfast each and everyone for breakfast today Usha and Avantika make all things for everyone. They all settled down,Aayat get angry with Avantika so she sitting in side and playing with her ID card all understand. She didn’t said anything.Rudra about to teased her Avantika gestured him in no. Avni having her breakfast Rahul looking at her. Tej:haa Kunj you did that commercial okay. Usha:they are same Shanghvi’s na..
Tej: Arey you all here only I’m thinking something. Tej:papa I decided Sunil son Tanveer for Avni alliance?? Avni chocked and looking at tej. Prithviraj:acha.I don’t know you know about this all. I see that boy..
Manohar:haa very nice Avni get shocked she leave spoon..
Tej; haa he is very good if you all okay I’ll go ahead what’s say Rahul..
Rahul:why you asking me this bade papa we know haina Kunj he is good for Avni don’t asked me please do whatever you wanted to do. All smiled. Chal Kunj will get late we have to go for add.. they both get up and Kunj hugged his dadi and left for office. While inside the heart Avni crying. Avni:I’m too going bye everyone she said and immediately left with heavy heart.Aayat get up and went inside bring her school bad went to school with driver without telling anything. Avantika:please tej don’t make her more let me handle her.Rudra and Soumya Priyanka too left for college. Kunj and Rahul get busy in advertisements after add shoot they get tired went in side cafe Kunj Oder coffee mocha. Rahul: you know what Kunj Last at 3:00 I saw Avni was busy on phone with someone. Kunj:what at this I mean with whom? Rahul: this I don’t know yAar. Here bade papa finding for boy her almost he find for her Tanveer. Kunj: Baath toh Teri sahi hai bhai he is good for Avni we see him na in university. Rahul: haa Arey this I know I’m just worried yaar if Avni will do something like Omkara..
Kunj:uff don’t make me remember that. I didn’t see Avni is like this Omkara did In stupidity Avni is matured fully.Soon their coffee comes.They both and taking sip of their coffee.. Leave Rahul. In same cafe Avni was sitting with tensed face. Avni:why this yuvi call me here.He itself didn’t come huhu.. just than he come and take his seat..
Yuvi:sorry for making you wait I just in traffic.he sit opposite her..
Avni: acha it’s fine why you call me here. Yuvi:Avni yaar I wanna tell you something. Yuvi: I don’t know what you thinking about me but I had feels for you avni get shocked but she understands as well she knows..
Yuvi:I love you yuvi he closed his eyes. Avni eyes pop out. Avni:yuvi.. bade papa find boy for me. Yuvi: what.. he immediately get up. But sit again.. when..
Avni:I don’t know anything yuvi. Avni:this I wouldn’t do yuvi in my life they are my parents and I respect them more than god.Yuvi get sad.Coffee she Oder yuvi favourite coffee for them soon their coffee comes.Yuvi see his favourite and smiled to see even Avni Oder for himself too.Little bit silence comes.Both didn’t said anything.Avni see yuvi face and understand his situation. Just than Rahul eyes went on Avni he get shocked than again his see her clearly. Kunj: abey oyye till now you were imagine di everywhere now Avni hehe. Rahul: saale Avni is here look at there Kunj too see. Yuvi back facing to them. She is here who is he?? Kunj: haa with boy she is here haa. Rahul: see I told you na something is going she is gone today. Before Rahul go yuvi get call from Rishi who met with small accident he excused Avni and immediately went from there. While Avni didn’t see Rahul and Kunj she too left. Rahul: I’ll not let’s go home she have to answer me about this..
Rahul:almost our all work for today I’ll tell rohan.let’s now.. they both left for Sarna Mansion even Avni too. Avni reached went in her room get freshen up everyone just had their lunch and sitting in living room.Avni too come just than Rudra and Priyanka come along with Mahi. Omkara bring Aayat from school she didn’t sit went in her room and lay down..
Mahi: I’m good.. just than Kunj and Rahul come. Kunj:good and your protein power..
Rahul: even my one too..
Anjali; Kya haa.. Avni come back and sit beside Omkara. Rahul seeing her..
Avni:what do you mean by this bhai obviously I was in my clinic..
Priyanka: Kya Jiju cafe hai toh coffee pine gaye hogi na ye Kesa question hai. Kunj: in anger slightly prinku you shut up okay we are not asking to you. All get shocked to see them. Rahul: acha coffee fine who was the boy with you at cafe. Avni get shocked. Avni:woh bhai. No one bhaiya just a friend. Rahul: listen Avni don’t think you’ll make us fool I’m your brother. Avni:hmm bow down her head. Avni: of course Kunj bhai..
Anjali: bola na usne Friend tha., why are you behaving like a possessive brother Rahul. Haan. Her. Aaj kal bhut bol rahi hai she hide behind Omkara. Anjali: acha ji….now leave my innocent girls…always behind them …over possessive brothers..
Rahul:bhai jaa doc ke pass ja ke aa tujhe kuch jayda hi cough ki problem ho rahi hai …while giggling. Just than twinkle come with evening snacks she give them and sit Anjali too come and give look to Rahul. Anjali: I didn’t like you today. Twinkle:over possessive like this sadu..
Kunj:now I understand this Priyanka flying too much because of them only. Rohan: he take snacks acha.
. Priyanka come to Kunj. Priyanka: bhaiya I want new laptop Rudra break down my laptop. Kunj:acha okay I’ll get or kuch.and Priyanka listen to me one think you going college na. Kunj: for studies do that only if you went anywhere with any guy you know my sister pa.
Priyanka: in low voice I know bhaiya she said and went. Twinkle: kunj if you see her in college she stay so calm. Kunj:I know this but Alert is better.After sometimes later Rahul was sitting he called Avni. Avni: yes bhaiya you call me. Rahul:sit here.. she sit Rahul take her hand in his hands. Listen Avni you know na I love you Lot I only have you in this world. Avni:haa bhaiya.. what happened are you stressed..
Rahul:nope. I wanna ask you few things Avni it’s your life see I don’t have any problems with you.You can do anything but I just wanted one thing you know Kunj too come and take seat beside Rahul. Kunj:Me Bata hu avni woh cheez kabhi nahi karna jo cheez me aap ko izzat na mile aur sab se badi Baath yeh ki uski wajah se aap ke parents and family so kuch suna pade that’s it for me toh you and Priyanka same to same.. and you are small don’t this world and your brother is just worried about you. Avni:I know Kunj bhai I’ll not do anything like this all. Rahul:I know this you’ll not do. Kunj:if something is like there don’t scare of this filmy tell me just I’m always with you okay. I’ll come let me see my wifey. He went from there. Rahul:see Avni Kunj.Bade papa and bade Maa treat us like their own kids Avni they love us more than them never let them feel our parents absent,I just wanted Avni you never let them down their face specially tej uncle he is everything for me. Avni: bhai I love bade papa Lot please don’t this all things I’ll never ever do something like this all. At kitchen twinkle making dinner for everyone Kunj entered in kitchen and see her he went near her and give her backhugged she smiled. Twinkle: acha ji ab I’m not good like you. You have this talent also. Kunj; haa. I have many you wait and watch kissed on her cheeks from back. I love you looking beautiful feels like eat kissing on her neck. Kunj;you let do something first,, acha Ek kiss. Twinkle:not here very bad even Rahul too likes you over possessive brother. I don’t know about him. Kunj:every brother is like this only when things comes on their sisters. Kunj:woh nahi kaha she get so nervous to see others. Tej and Avantika sitting in their room tej doing his office work while Avantika arranging Aayat things who sleeping in anger.Tej & avantika were discussing something then tej get a call from his friend who said …he is going to grand father soon..
Avantika: what happened?? to whom are you giving congratulations ? Tej: Arey my friend going to become grand father..
Tej: after Kunj and twinkle they get married..
Avantika:hmm hope our kunj will too give us good news till next year…. Tej:he will give good news when he will do something.i mean he is so shy. don’t know he had taken any steps or not.leave it soon that day will too come..
Kunj didn’t let do her work she get irritate with him. Twinkle: go na from here what if anyone will see us here,, mahi is here only. See me she will get to know her jiju love her di so much. Baba you have to go for your test again. Kunj: I remember this time you come with me. Twinkle:why mamma’s boy. He pulled her cheeks kissed on her cheek bone..
. Than I’ll too say this only. Lata:Arey koi na I didn’t see anything. Kunj look at her she went near them. Kunj:Arey you don’t know about my dadu and dadi love story my favourite one,my favourite couple too cuddles her kissed on her cheeks.
. She cupped his face my pota. Yes I DO.. you both continue I’ll see your dadu..
Twinkle: dadiii take him too your laddla pota huhu. Kunj:yes let’s go dadi interlock their hands and went outside.Siyappa queen he murmured.Later everyone sit for dinner. They all come take their place Aayat was missing.Twinkle served them Mahi sitting opposite of Omkara both sharing eye locks.They all having their dinner happily just than Rudra see sweets box he take. Rudra:he open wow laddoos where is pidhi today. He started having. Twinkle:someone what he is name mr Mehra..
Tej:Arey he going to become grand father that’s why for this blessing he sending everyone.. all get happy. Manohar:acha see he going to become grand father soon time Ka pata bhi nahi Chala. After Kunj marriage his son get na. Avantika: haa even I’m telling this to tej. Twinkle understands before only she looking down. Rudra:kuch bhi this is very tasty mummy and pa even we will to send this only okay. Rahul:acha Rudra why you will.
. Kunj buys in his food. All giggles Omkara make faces. Usha: haa don’t know when I’m going to become dadi see Leela ji Avantika. See this kunjjj?? Rudra: bhaiya you too distribute this one only. Kunj:why I’ll distribute this haa. Twinkle closed her eyes. Usha:omg Avantika your son is so. Avantika:haa Usha what we can do..
Usha:ab twinkle humara Kunj toh aisa hi hai we just had expectation from you. She didn’t said anything looking down. Anjali:Maa you all started on them only. Usha:this is for you too leave them. 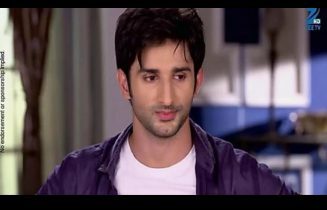 Kunj smirked and gesture Rahul. Rahul: Maa don’t worry afterwards you people only get tired and blaming us handle your kids like now with Aayat. Kunj:where were she is?? Since evening I didn’t see her. Kunj:mummy you are very bad huhu let me see her. He leave his dinner and went in Avantika and tej room and see Aayat doing her school work Kunj went to her sit. Aayat what you doing Arey waha finished your work. Aayat:hmm. She closed the book. Kunj:look at me Kya hua my doll Kunj cupped her face. Aayat: nothing bhai.. she said and lay down. Kunj:hoo someone is very much angry with me too haa.He tickles her but Aayat didn’t said anything.Acha sorry from mummy side Aayat come let’s have something na what you want.Kunj try many times but Aayat is same to same Kunj get up and went from there. Anjali: Arey I too try. Tej:I’ll see her leave okay. And you Avantika don’t come okay. Avantika:haa I didn’t said anything just normally now she didn’t having anything. Avantika:she didn’t complete her work and teacher give her remark and not tell me that’s why I scold her.They all finished their dinner. Tej:Omkara go and drop Mahi safely. Anjali: you come with me he can go..
Mahi: haa okay bye di. Twinkle:right first think about you. Kunj:very shameless husband di yours. Kunj: huhu deewani pati ke pyaar me..
Rahul: less than your Biwi ke me.Mahi and Omkara left. They all went in respective rooms while Rudra Omkara or tej cheering up Aayat.While Kunj went in his room and tell twinkle when she come bring coffee for him.Kunj sitting on bed he take out his phone and seeing his twinkle some cozy photos she kissing him. Making puppy faces. Kunj:pagal ladki best thing happened in my wife that she is.He kissed on phone screen. Avantika was passing from that side she saw Kunj who lost in his phone she smiled and went in his room.. Avantika comes and sit beside him..
Kunj:hmm …then he comes out of his dream…mummy aap when you come here ? Avantika: acha are you happy na she cupped his face with this marriage and twinkle Kunj look at her. Kunj:hmm I’m so happy aur kuch. Kunj:Kya twinkle mummy aap ke saamne hai. Avantika:now hiding things from your mother haa. Kunj:ask me na what you wanted. Just than twinkle entered in room with coffee. Twinkle: what happened something is?? Avantika: come beta.. she give coffee to Kunj and stand in side. Avantika:acha okay fine stay like this learn something. Kunj:I don’t want no need of this all things. Go and asked Anjali di. Firstly you all behind my marriage now I done again this second thing. Avantika:nothing beta. Goodnight. She pat on Kunj cheeks and went from there while twinkle sit. Kunj:Arey this all na. Kuch nahi bas whatever happened downstairs. Twinkle:acha Leave they just teasing us nothing else. Kunj:pata nahi Kya baby hua samj me hi nahi aata hai..Kunj take sip of coffee. Omkara drop Mahi at Sarna Mansion he coming back while thinking about Mahi only. Twinkle:Acha Kunj bring my medicine which I told you yesterday you didn’t bring it. Twinkle:you will go only get it.. I getting cramp In my legs. Kunj:okay.. should I tell omkara he think. Kunj went downstairs and message Omkara bring medicine for twinkle name medicine name. Kunj waiting for Omkara soon he come and give medicine to Kunj. Thanks for this. Kunj:don’t know siyappa queen needs. Goodnight he take medicine and went back to room.Twinkle sitting Kunj went towards her and give her medicine and water. Twinkle take medicine and give smile. Twinkle: thanks for this very soon you bring haa. Kunj: not in sense Arey I message Omkara he bring twinkle look at him.
. Saduuu.. what type of man you are I told you and you tell him. Kunj:so what it just medicine you behaving like something. Twinkle:huhu.She lay down Kunj off the lights Kunj come upon her. Kya hai. Kunj: what do you mean Kya.. roz Kya Kya hi karti hai tu..
Twinkle:yes I’ll do this only..
Kunj:As if I’ll listen you. Nuzzles his face in her neck. Twinkle:kunjjj leave me not na..
Kunj: kyu. She tell him something in mute. Acha okay..kissed on her forehead. She cuddles him.holding each other hands they sleep..
Usually all wake up and get freshen up sit for breakfast. Avni was thinking about yuvi same with him too.She was talking with him on phone. Avni:see yuvi I cant say anything whatever bade papa will do I’ll too.Bye I have work. Yuvi:why me Babaji.Surjit listen yuvi conversation he calls Anita. Surjit:today get ready we’ll go Sarna Mansion yesterday didn’t got time. Soon heavy rainfall…started.. twinkle thinks something…she played a song on her mobile & started dancing in rain…she was dancing very gracefully. meanwhile kunj also came sarna mansion for some file…but when he entered in his room he was surprised with the scenario… twinkle was dancing in the balcony…she didn’t notice kunj….she was fully drenched in rain…her dress was clinched to her body showing her perfect craves.
. Kunj cuddles she turned and see him. Twinkle: kunjjj.. Kunj put his finger on her lips..
Kunj:shhhhh.he pulled her towards himself and she closed her eyes rain water falling on them Kunj grab twinkle lips.Both started kissing each other passionately. After they leave each other’s Kunj removed twinkle duppta and throw it in side.He nuzzles his face in her neck kissing her wildly while she enjoying his tortured. Twinkle:aha kunjjj.his slips slipping on her neck body.Kunj lift her in his arms went in room.He went towards bed place her on bed come top of her.Both looking at each other’s.Twinkle wearing off shoulder dress Kunj slid her dress and kissing her all over neck and shoulder giving her love bite while twinkle moaning his name loudly she open Kunj shirt buttons and moving her hands on his chest. Kunj again captured her lips both kissing each other’s biting each other lips.Kunj arousal Both looking at each other’s twinkle understand his intentions.kunj …what r u doing here this time? Kunj: haan bol.phone was on speaker. Rahul:saale file lene gya tha na abhi tak wapis ni aaya…romance karne lag gya kya…. patidev….afternoon khrab ho gya ..
Kunj: jyada mat bol …night me continue krunga…abhi jana hai meeting ke liye. He kissed on her lips. Twinkle:Arey at least changed your clothes . His clothes he changed and left for his office while twinkle smiling she too get freshen up. Whole passed like this Kunj and Rahul meeting was too successful. Rahul: if I didn’t call na I’m damn sure you busy in your romance. Kunj: I have one Kamine moment breaker never let me do. Rohan: Uff Kunj. Chalo tomorrow we have lots of work. Rahul: haa Arey bye Rohan.. they bid by to each other’s they went downstairs tej and Manohar was waiting for them.Today this two hitlers waiting for us why. Kunj:don’t say anything bhai.They both went towards Rahul sit in back seat while Manohar and tej too sit in their car only Kunj start the car and they drove off for Sarna Mansion.soon they reached till now everyone come back.They went inside and get freshen up everyone sitting in living room. Just than Anita ans Surjit come there. Anita: hi.. Surjit and Anita sit..
Twinkle: I’ll bring tea.. she went in kitchen and make tea for them. Surjit:we are good.. twinkle come with tea and snacks she served them..
Anita:bhai Saab we wanted to talk you something. Tej:haan Anita why not tell me.Anita and Surjit think how they start this conversation.Kunj gestured Rudra and Priyanka.They both get up and went from there while twinkle understand she too leave the place like this all siblings went from there..
. All get surprised for this . Anita: haa bhai Saab? I know you all thinking alliance for Avni even we too for our yuvi. Tej:Anita don’t hide tell me. Surjit:haa Anita tej yuvi love Avni . And he wanted. Tej: Avantika first let me..
Surjit:see tej both kids in front of our eyes only if yuvi love Avni I don’t think so any issues is there. Tej:right I don’t have any issues nice yuvi tells you about his feelings I have to asked Avni firstly and one more thing Surjit and Anita I have to think about this I don’t have any problem with yuvi he is too my son. Anita: haa kyu nahi decision is yours firstly we just come because of yuvi we toh like Avni if she would be our babu what else we wanted mores..
All sibling sitting and thinking what so important elders discussing. Kunj: suddenly bua and Surjit uncle..
Tej: I want sometimes because I already give commitment to someone else.Anita and Surjit looking at each other’s.. Episode freezes Avni face and others yuvi. Let’s see what will be tej decision for yuvi and Avni??? The post RAB SE SONA ISHQ:twinj: EPISODE:57💫 appeared first on Telly Updates.